5 Reduce to medium heat and add the brown sugar, soya sauce, tomato ketchup, chilli sauce and vinegar. Combine well and cook for 2 mts. Add 3 tbsps of water and cook for 2 mts. 6 Add the deep fried baby corn and combine. Toss on high flame for 1-2 mts. Turn off heat. Garnish with the chopped spring onion greens and coriander leaves. Must try this. I always make cauliflower Manchurian. This might be a good change. Hi Sailu.Ur dishes r awesome.Please post Apollo fish recipe(I ate ii in Hyderabad Paradise Hotel.Really a Mouth Watering dish). Mouth-watering dish…feel like eating it right away. lovely dish, sailu. i did it with left over idlis, idli manchurian. I didnt add spring onions etc. You r doing a fab job. This is a great recipe. I am making this recipe since three years and always turns out very good. 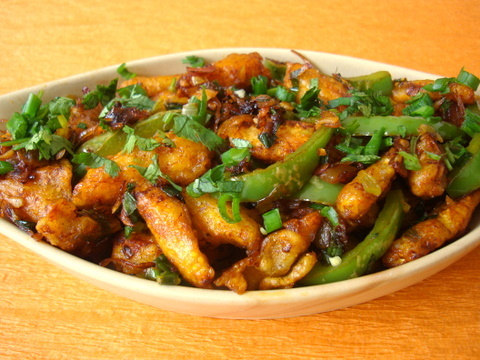 U can also try babycorn pepper dry masala, just add more black pepper powder. Tastes yummy. My next post is the same…looks yummy. I luv it! A small correction is needed in the description. The recipe sounds and looks awesome. Typo! 🙂 Thanks for pointing out. Love all your recipes. Do you use green chilli sauce or red chilli sauce. Any particular brand you recommend. For this recipe, I used red chilli sauce. I’m using Ching’s Secret brand. yummoo!!!!!! love baby corn any which way! Looks very very tempting & delicious… Loved the capture that delivers this taste to us visually….. Kudos!!!! We do not get fresh baby corns here; can I follow the recipe for Cauliflower manchurian? Follow this Cauliflower Manchurian recipe. Just kidding.. I am Sorry.. Your food and recipes are simply amazing. Sailu’s food rocks! This is one of the sites I check every single day. Nice recipe.. Can we use canned baby corn? Yes, canned baby corn will do but fresh is best. Hi sailu…….thxs 4r posting da recipe………. m eagerly waiting 4r dis…..m searching fresh baby corn in stores…….but didnt get it……can u tell me wh can i get babycorn in american stores………….i ‘ll wait 4r u reply……. If you live in India, fresh baby corn is available in Spencer’s outlets and Food World. yes indeed a wonderful recipe. first time i got manchurian with crisp corn and perfect balance of taste in the gravy. and it’s not laborious to prepare as well.. I tried this but when I fried baby corn in oil (after coating as mentioned), the batter formed as jelly, I mean the coat didn’t stick to baby corn..did I miss anything…and yeah, it always happens with me when ever I add corn flour to my dishes, not sure what goes wrong.. I tried this simple and delicious manchurian. It was awesome. Even my 6 yr. old daughter loved it and kept on asking for more as baby corn is her favorite. 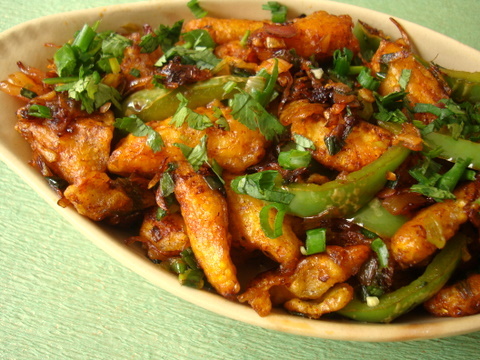 i tried this babycorn manchurian. it was awesome. my children loved it. can u tell me the recipe of mixed veg manchurian. thanks for this recipe. This is really very nice dish, we are trying today and will let you know later today. 🙂 Hope we will succeed. Sounds very good. Going to try tomorrow. I am going to start cooking as it is sunday. Today this is the special dish at my home. I tried this recipe and it came out very well. thanks a lot Sailu, for the recipe. I had been searching for this for quite sometime now. Its very simple and easy and quick dish to prepare and tastes yum.